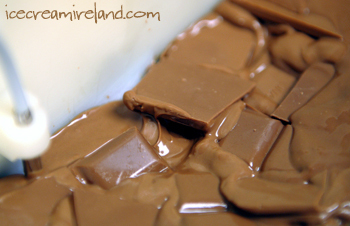 I’m delighted to announce that we now have a mini Lorge chocolate shop in our Killarney Dessert House. For those of you lucky enough to have visited Benoit Lorge’s shop on the road from Kenmare to Bantry or found his chocolates elsewhere, you’ll know how happy I am. We’ve had Lorge Chocolates in our shops in a small way, but over the Christmas season we will have a much wider range as well as a delicious selection of loose truffles for mixing and matching or devouring with a coffee. 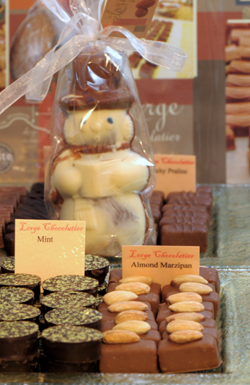 For the holiday season, Benoit has made chocolate Santas, snowmen, and best (and most random) of all, he has chocolate boots and shoes filled with truffles. 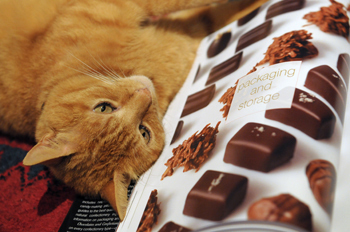 We also have his chocolate bars and award-winning nougat. Here’s something for the holidays – a sorbet that works well as a sorbet course, a dessert, or an alternative partner to the Thanksgiving or Christmas turkey. 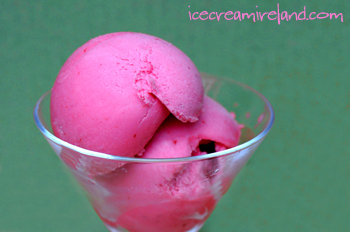 Cranberries are tart and beguiling – an explosion of flavour, and the sorbet is the same. If you want to add a bit of orange, you can do so by substituting 150 ml orange juice for 150 ml water. Cook the water, sugar and cranberries together until they reach a low boil. Use a blender or hand blender to blend until smooth. Pass through a fine sieve to remove the seeds and bits of skin, using a rubber spatula to press as much pulp through as possible. Cover and refrigerate until it is completely cool. 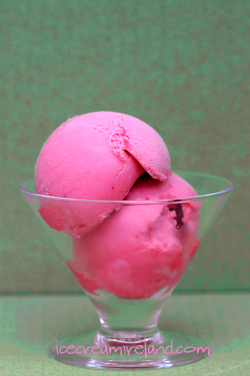 Freeze using a domestic ice cream maker until it has a semi-solid consistency. This could take up to 20 minutes. 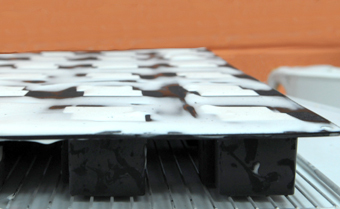 Transfer to a freezer-proof container and freeze until it is solid. Otherwise, simply place in a covered, freezer-proof container and place in the freezer, stirring every two hours to break up the ice crystals. Remove from freezer and allow to thaw for about 15 minutes before serving. The Sunday Times has a story that the National University of Ireland, Galway has released a study showing that the effects of coffee are over-stated. In fact, the study shows that coffee has no stimulating effect on the brain and that it does not counter-act sleepiness. They say that people are confused about coffee because the positive effects they feel have to do with countering caffeine withdrawal and not any inherent coffee benefits. If that’s a total buzz-killer for you, cheer up – there are still many reasons to drink coffee. 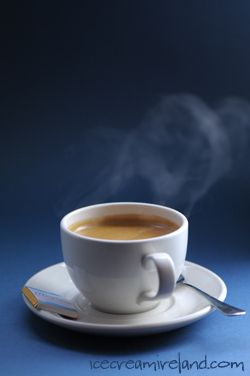 Studies at Vanderbilt and Harvard have found that coffee reduces the risk of diabetes and Parkinson’s disease. 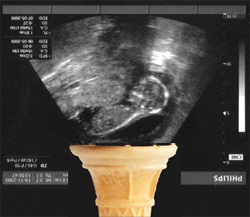 I wrote some time ago about ice cream and fertility, and it would appear that ice cream is indeed powerful, since my girlfriend (and serious ice cream-o-holic) has become pregnant. As you can see from the scan above, there is little doubt as to the father. So there it is, and fingers crossed. The times they are a changing. God willing, there will be another little ice cream eater in this world come May. With Christmas coming up, I just wanted to remind everyone that it is perfectly possible to mould ice cream to make your ice cream dessert more decorative. There are a variety of baking moulds that work well. You can use a springform cake tin if you want to make an ice cream cake (a cloth dipped in hot water will help the form to release once it’s set). There are also more and more rubber moulds available from kitchen or baking suppliers, suitable for baking and perfect for ice cream, since you can peel them off the ice cream quite easily once it’s set. 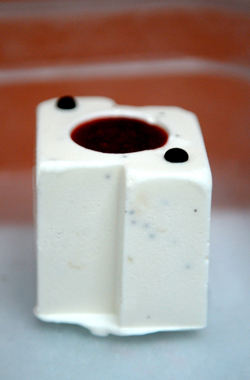 You can also use chocolate moulds, ideally those made with a pliable material. With my Christmas present already here, I’ve been doing some studying to make the most of it. I have bought two books, and I think either would make a great gift if you have a chocoholic in your life (or something to add to your wish list if you are one). The first is Chocolates and Confections, by Peter Greweling, which is more technical, and Making Fine Chocolates by Andrew Shotts. From what I’ve read so far, either one has a lot of information, interesting recipes, and good tips for making chocolates. The only problem is that the books might prove very popular and hard to keep to one’s self (see photo right)! I certainly have the toy I want for Christmas, and it’s not even December. That photo above is our brand new chocolate tempering machine. 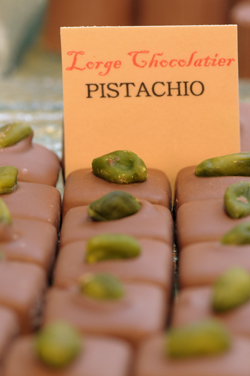 It’s a chocoholic’s dream. 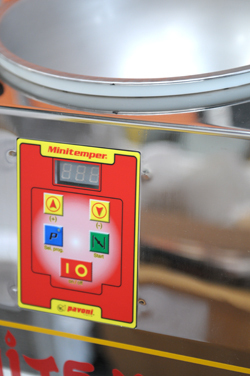 The machine takes the bother out of tempering chocolate so that you can melt and form chocolate that it is glossy and has a good snap. It’s possible to temper by hand, but this is much easier. Needless to say, there’s lots we can do with tempered chocolate, from decorations for ice cream cakes to making our own chocolate chips. I must run now, the chocolate is melting! 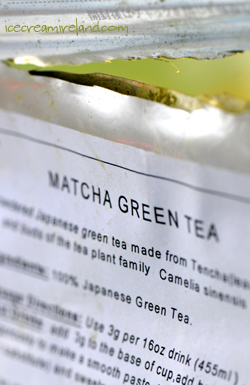 Although I love green tea, I’m not sure that I’m really a fan of matcha. We had a request from a restaurant to make matcha ice cream, however, and we went to work. 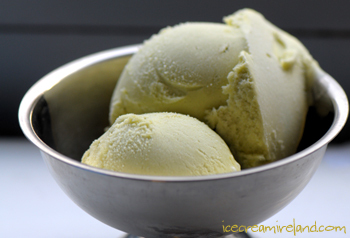 For green tea ice cream (or as a hot drink), I prefer using a green tea leaves, since the flavours are more complex and delicate, and I have a recipe for that here. That being said, if you’ve had green tea ice cream in a Japanese restaurant and loved it, it’s almost certain it would be made with matcha. It’s a very different ice cream, more earthy with more kick, and I can understand why many people prefer it. Just so you know, matcha is usually quite strong, so I don’t add a huge amount. The strength could well vary, depending on the matcha you buy, so as always, use your tastebuds and if you want to add more, do so! Put the milk in a saucepan and bring to a simmer. 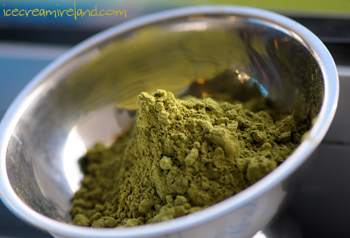 Mix the matcha with the sugar until there are no lumps. Beat the sugar and egg yolks together. Beat the milk into the eggs and sugar in a slow stream. Pour the mixture back into the pan, and place over low heat. Stir continuously until the custard thickens slightly (around 65-70C) and just coats the back of a spoon. Don’t over-heat, though, because at around 76C you will scramble the eggs! Immediately remove from the heat. Transfer the custard into a small container, cover, and refrigerate until cool (5C). Whip the cream until it has doubled in volume (you should have soft peaks – don’t over-whip). Fold the cream (gently stir) into the custard. Freeze using a domestic ice cream machine. You can also just cover and place in the freezer, stirring every few hours. If you’re using a domestic ice cream machine, transfer to a freezer-proof covered container when the ice cream has achieved a semi-solid consistency (around 15 minutes). Place it in the freezer, and continue to freeze until it is solid. To pasteurise the eggs, heat the custard to 73C and maintain that temperature for at least 5 minutes. Use a cooking thermometer, though! If the custard goes any higher than 76C, the eggs will scramble. Immediately cover and place in the freezer until cool. For our regular green tea ice cream, I like to add crystalised ginger, so do so if you wish (add it when you’re freezing). In case you’re having trouble finding matcha in Ireland, we bought our’s from the Espresso Warehouse.